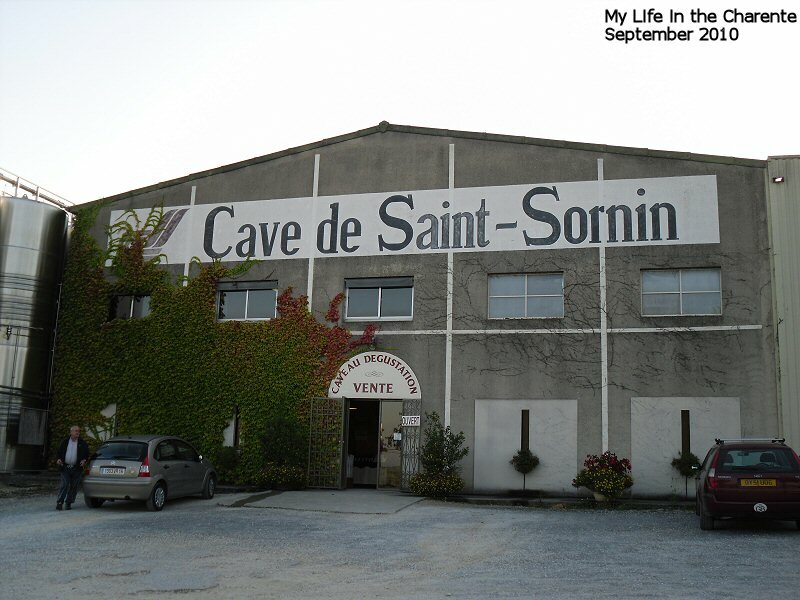 Located on one of the paths of the pilgrims of Saint Jacques de Compostela, the vineyards of Saint Sornin in Charente Perigord, are one of the oldest vineyards in France. 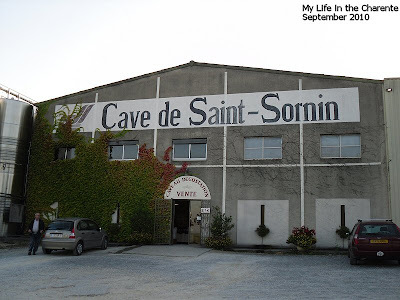 The company does tours of the wine production facility by arrangement and you can buy St. Sornin wines afterwards in the shop. 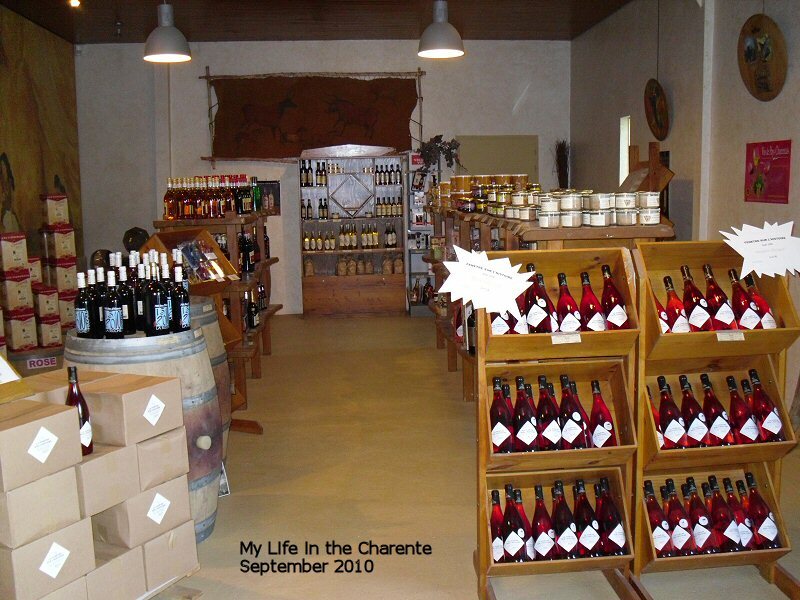 Started in 1967, the wine co-operative's main business is wine from the Wine Country Charentais. i.e. 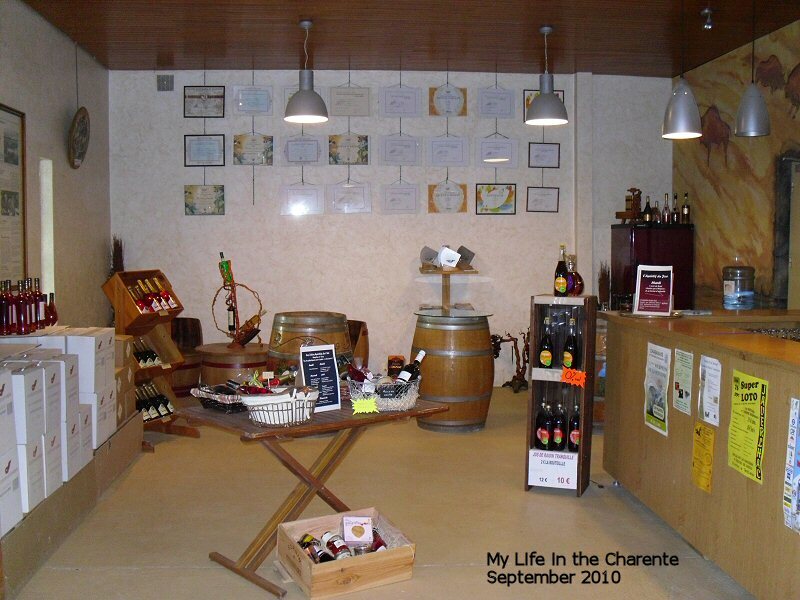 the Charente department. 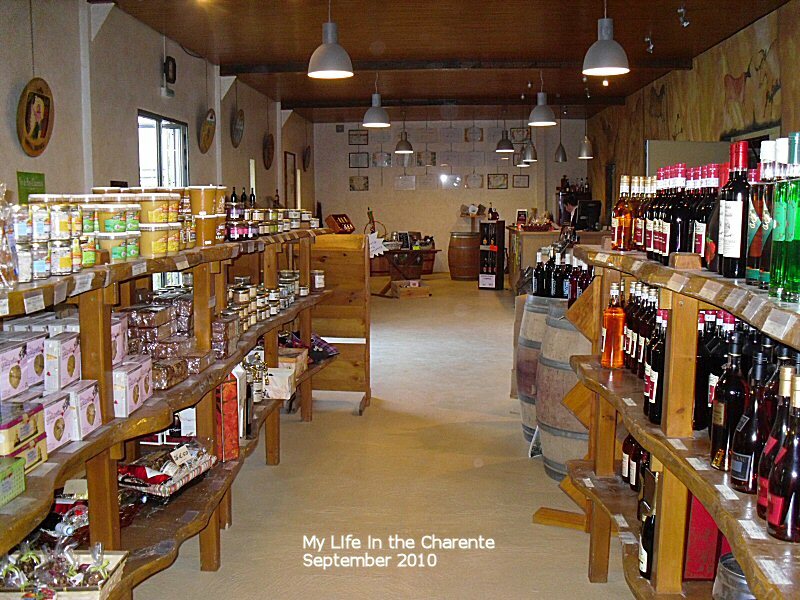 I understand this is the only winery that produces 100% Charentais wines. 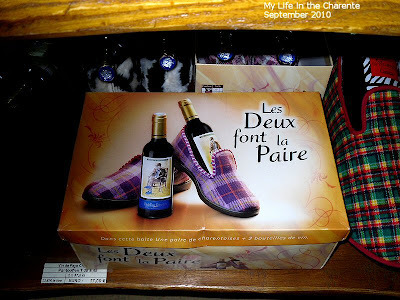 They also sell cognac and the charentais speciality Pineau, plus a few other local specialties such as slippers, jams and pates. Pineau is a 50:50 mixture of cognac and white wine and many local people produce their own for home consumption - the quality varies!!! There is, of course, tasting. I am not very good at this, as I heartily dislike spitting wine out! What a waste! The decor is a reminder of the local heritage; there are many prehistoric caves and sites in the region. This barrel was beautifully painted, but no matter how I tried, I could not get a photo without the glare of the lights! You must have bought a few for this coming festive season. I can only take a few sip and not more than that. Thanks for taking us along for another fabulous trip of yours. I'm enjoying it very much. I can't spit out wine.. it is wicked to waste and kind of yucky to do... guess I'll never be a famous wine critic! Love those slippers... those would be great for the holidays!!! Slippers and wine seems a perfect combination. Never could see spitting out and wasting good wine. Hi Diane ~ I just love those charentais slippers ~ I mean I would go there just for them!! Thank you for the post. Nobody else could make me spit out some wine! The box with the slippers is unbelievable! 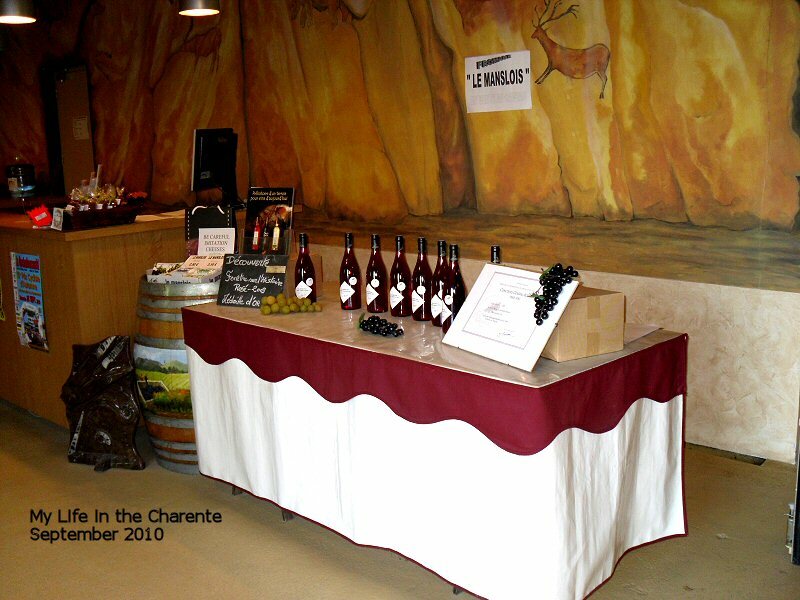 Great wine tour. I never spit out the wine when I wine taste... what a waste of tasty wine! Just like you I don't spit wine, so this post reminded me of some wine tasting I had at the Stellenbosch area, near Cape Town, at 10am... No need to say more... LOL! This place looks lovely and so do your shots, Diane. Interesting post! I am reminded of the habits of some French people to also drink wine for breakfast. What a great shop to get unique Christmas gifts in. I still have Christmas shopping to do so gifts are on my mind! Cool post. I used to enjoy wine, but now as a prediabetic, I really can't touch it, so I haven't kept up with pairings. Graham you have already triggered me off on animals that I have owned stories, but I think most of the photos are in France so it will have to wait. 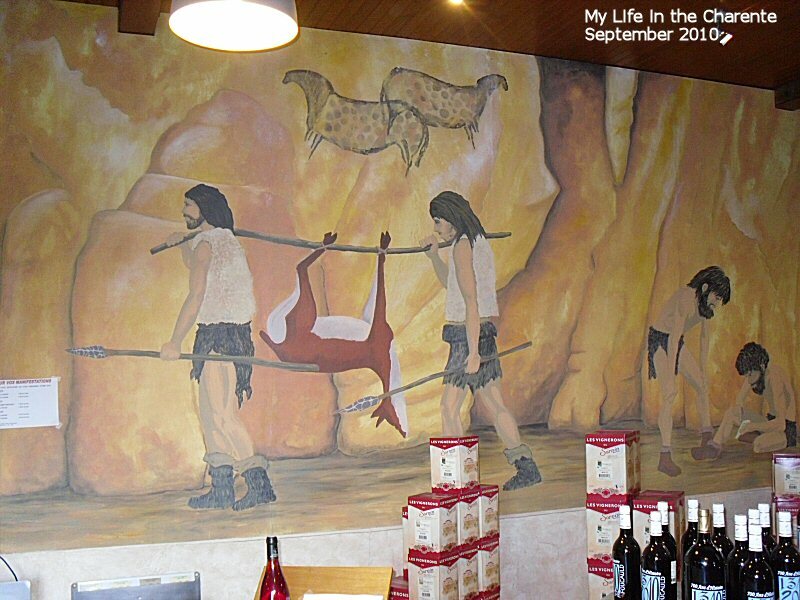 The prehistoric caves, I probably have some photos hanging around, but again I will have to search. Not sure how much history is available, again I probably have enough in France but the internet might throw up something. Both posts are on my 'to do' list. Great pics Diane! What a beautiful barrel! Great slippers for sure! It looks like a wonderful place! I love nice old places. Very interesting! thanks for sharing this Cave with us! happy week ahead! Enjoy wine I do, but I do not pretend to be a connoisseur. I can not tell if it is expensive or cheap. For those who do, I raise my glass to them. Have only been to one small winery, and it was fun. A garden to sit in, enjoy wine and a cheese/bread plate. A great post on wines!! Can't stay long this evening, but thanks again for your lovely wishes! I visited my first French wine cave in France this past Summer in the Loire Valley (when I crazy enough to think I could bike through France, smile). This is beautiful. Thanks for sharing, it brought back fun memories. Velva you need lots of time to bike through France:) I have managed the bottom of England to the top of Scotland on a charity ride. 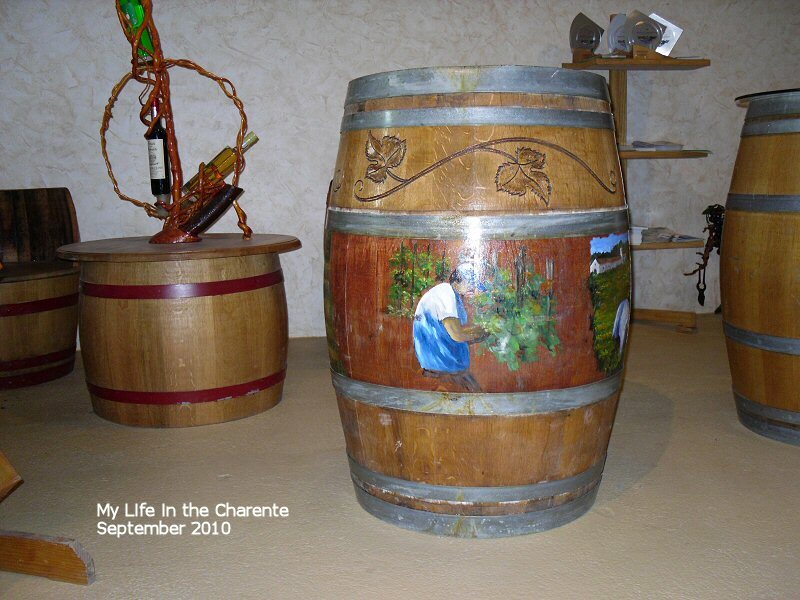 That's a really big barrel, I have never been to a winery so your virtual tour for us is exciting. Thanks for sharing Diane. Great decor in there! I love your attention to detail, Diane. That painted barrel is gorgeous! I believe this time the "dragons" will disappear for good, it is getting quite cold : -2 to 4°C at night and these coming days about 4°C above, daytime!! I hope you're OK, I think you had an anti-cyclone protecting you from bad weather, but it must be also very cold! Oooh, this looks like one to put on the itinerary next year when we visit Perigord. Yes, I hate spitting out good wine too. You didn't really say if you liked the wine - is it a good drop? Thanks for sharing with us this fabulous trip. What a fabulous and interesting life you lead!! So happy to have found you and to be following along in your travels! What a fun post :) I popped over from Anne's place...Merry Christmas. The box with the slippers is unbelievable!!! really.. It was really a fun place to go as they sell all sorts of goodies besides wine. What a cave! I certainly would not mind being trapped in one like this! Very quaint place, just like the inside cellar of a big house. Thanks for your very nice comments! I posted 3 more pictures I hope will help in putting together the empanada. Keep warm and happy holidays to you! rwoodhouse0214, sorry I missed your comment as you took a trip into my spam folder, now I have found you I hope it will not happen if you visit me again!!! The reds which we quite liked were Sornin Erectus and Cuvée Privilège. We are a bit tight when it comes to spending, the wines are very good value for under €4 a bottle!! My husband does not drink much white but I liked Sapiens Sauvignon. A friend of mine who is well into wines has asked me several times to get him Sornin Erectus Rosé. Niether of us is a rosé fan but I am sure he would not order if it was not good. Hope this helps. Hi Diane - love your photos and story here .. always love to look - if I was there I'd be buying! Interesting about being on the Pilgrim route - and the prehistoric caves look very interesting ..